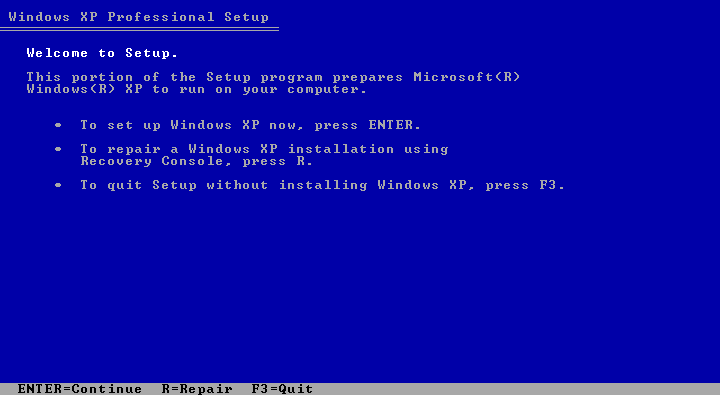 Here I am going to show, how you can install windows xp professional. The fresh installation or New installation means to install on a newly purchased computer which have only the hardware, nothing should be installed on it. In the clean word at least the Hard Disk should be new. Set the DVD/CD Drive as the first Boot Device (By default it's the first boot device) if not than set it. Default key to enter the BIOS (F2, Delete or F10) in some motherboard it may different. 1) Switch on the PC and put the windows XP CD, it will automatically run the setup. As it is a fresh installation it will not ask "Press any key to boot from CD" you will get the following screen, Figure 1. 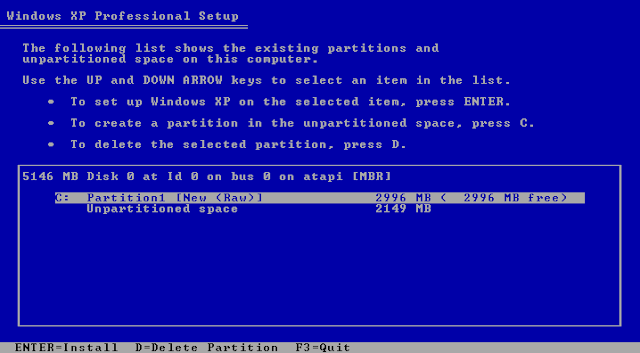 3) Press F8 to agree the Licensing Agreement of Windows XP, now you will move to next screen to do the Hard Disk Partition. 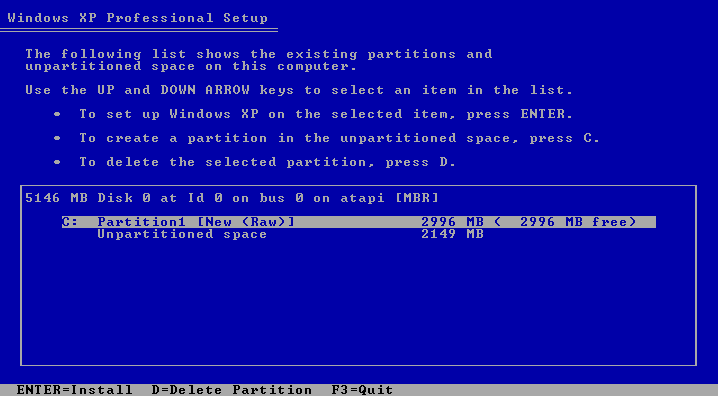 Here you can know the total size of Hard Disk and do the partition. 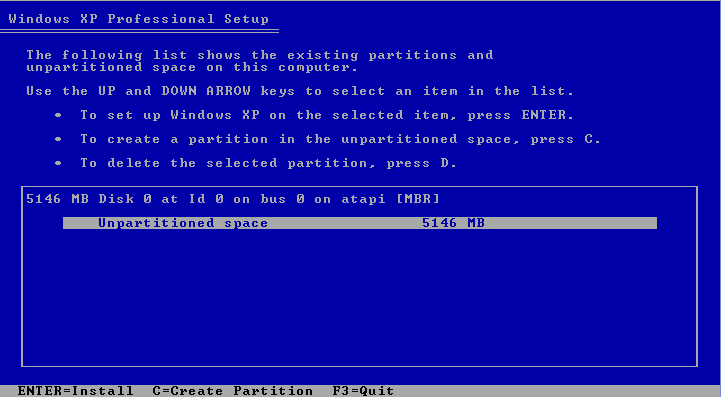 press C to create a partition. 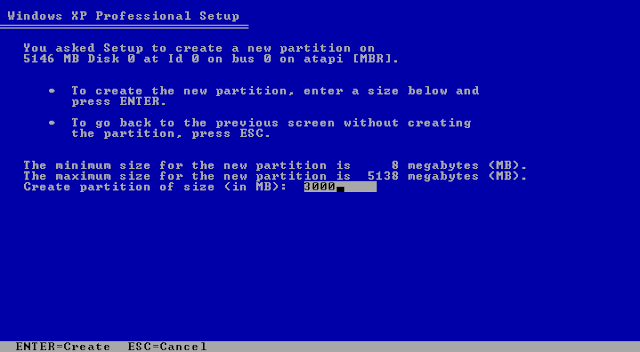 4) To crate the new partition, enter a size below and press ENTER. you can enter the size in MB (1024MB = 1GB) of the C Drive, suppose 30000 MB press ENTER. 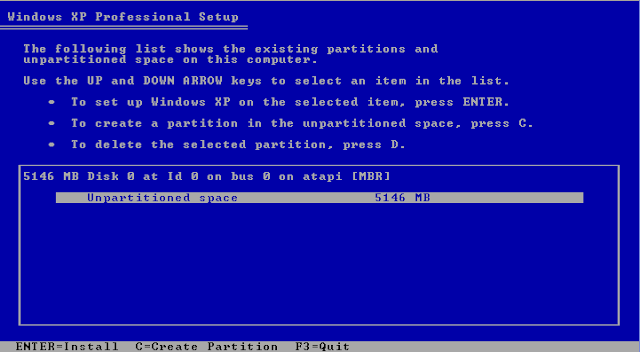 5) To set up Windows XP on the selected item, Press ENTER or you can make more partition, To create a partition in the unpartitioned space select the Unpartitioned space and press C.